There are so many different types of winged creatures in myth and folklore that I decided to spread them out over a number of posts. While not an exhaustive reference, I hope that these posts – as well as my other worldbuilding posts – will still be a starting point in finding new myth and folklore which can be incorporated into fiction. “In Russian folklore, the Firebird is a magical bird with majestic plumage that glows red, orange and yellow, like a bonfire.” (Rosen 2009:152). Called “Zhar-Ptitsa” in Russian, the bird eats the golden apples of immortality and lights up the night. Brenda Rosen also notes in her book, The Mythical Creatures Bible “The Firebird appears in a famous Russian fairy tale in which Prince Ivan, the youngest son of the tsar, finds the tail feather of the Firebird and embarks on a fabulous quest to bring the bird back to his father’s kingdom.” (Rosen 2009:152). More about the Firebird can be read here. 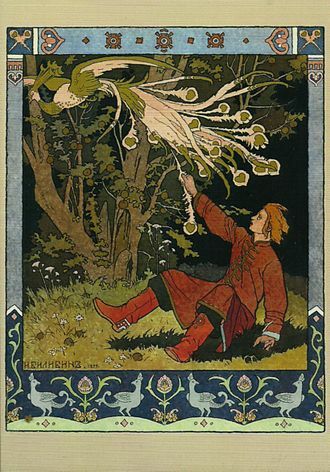 Ivan Bilibin’s illustration to a Russian fairy tale about the Firebird, 1899. 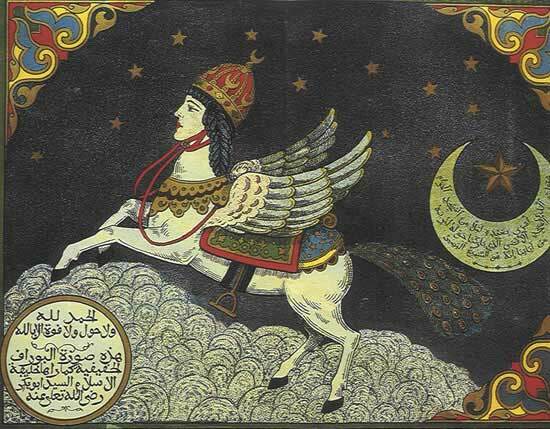 The Simurgh is a mythical bird of Persia, said to be “An immense creature the shape of a peacock with spectacular plumage, it has the claws of a lion and is large enough to carry off an elephant or a whale.” (Rosen 2009:152). The Simurgh features in the Sufi literature, in the story The Conference of the Birds by Farid ud-Din Attar (Rosen 2009:152). “In Mesopotamian mythology, Lamassu help people fight chaos and evil. 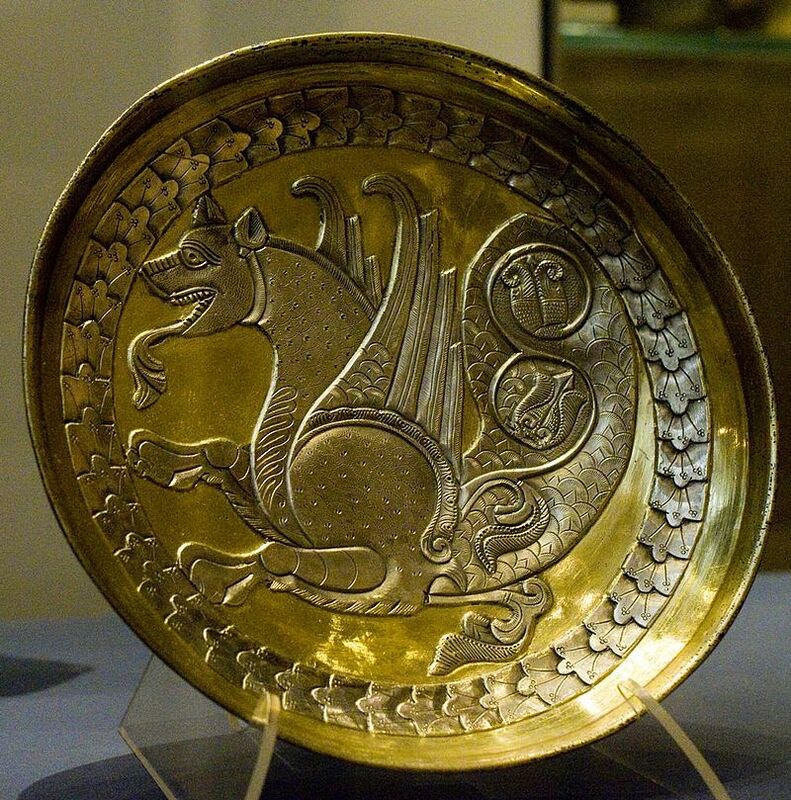 Each day, they hold the gates of dawn open so that the Sun god Shamash can rise and also help to support the weight of the Sun disc.” (Rosen 2009:287) The Lamassu is described as combining the body of a bull or a lion, the wings of an eagle and the head of a bearded man. 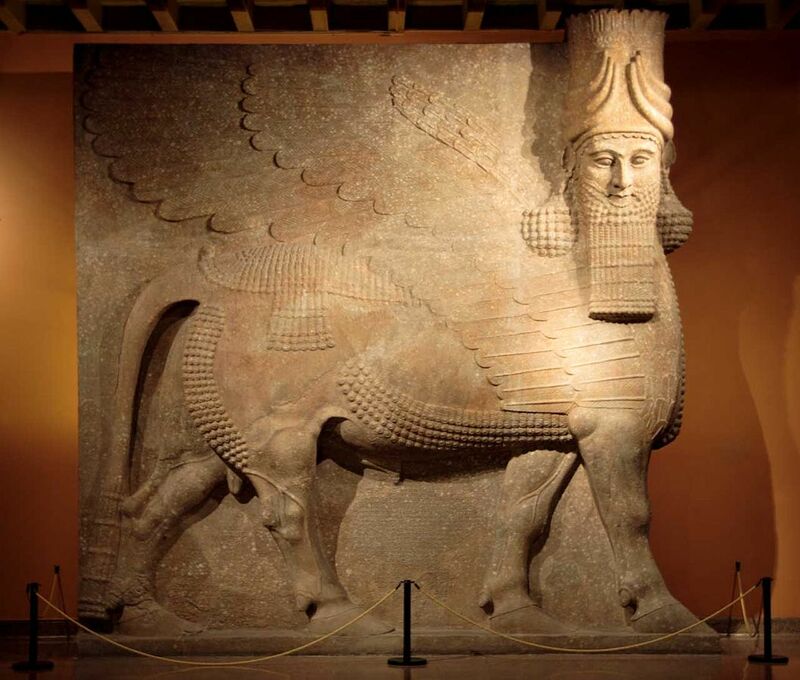 Statues of these Lamassu can be found in the sites of ancient Babylonian and Assyrian cities (Rosen 2009:287). Assyrian Lamassu at the Oriental Institute Museum at the University of Chicago. Easton, Cassandra. 2008. Fabulous Creatures, Mythical Monsters, and Animal power Symbols: A Handbook. Greenwood Press,London. Rosen, Brenda. 2009. The Mythical Creatures Bible: The Definitive Guide to Legendary Beings. Sterling Publishing,London.